Intonation is a tricky thing, and sometimes a matter of great debate. But out of tune is out of tune, and a tuner app can come in handy when we need to make sure our ears are not playing tricks on us. But with a wide variety of apps to choose from, which is best? 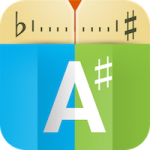 Cleartune (iOS – $3.99; Android – $3.99) is a simple and easy-to-use tuner and tone generator with a nice big display that is easy to read from a distance (even on your phone). It also offers a variety of pitch and temperament settings – with custom presets – which can be handy for those who frequently have to switch between modern and baroque instruments, for instance. Several readers praised its ease of use for beginner-level students. 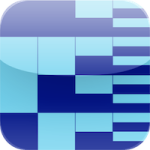 TonalEnergy Chromatic Tuner and Metronome (iOS only – $3.99) is an all-in-one app which includes a metronome function in addition to a tuner and tone generator. It is sensitive to a wide range of pitches, has different “difficulty” settings (i.e. or how close to the pitch you need to be for your note to be considered in tune), and allows you to record yourself while using the tuning or metronome function (so you can do a run-through and actually focus on playing, instead of staring at your phone the whole time). The interface is a bit more cluttered and less intuitive perhaps, but many mentioned enjoying the green smiley face that appears when you are in tune. Sometimes a little encouragement can go a long way when we’re struggling to get a note to sound just right. Peterson’s iStroboSoft (iOS – $9.99; Android – $9.99) is the priciest app in the top five, but comes from a company known for its strobe tuners (said to be the most accurate and precise type of tuner). It is sensitive to a wide range of pitches (the whole range of a harp, for instance), has an input boost (iOS only) if you want to use an external mic, and also includes a noise filter (iOS only) so you can tune you, not the other folks sitting around you in orchestra. The strobe display may be a matter of personal taste however, as some love it while others find it to be distracting. 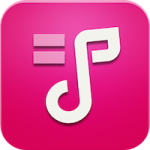 Tunable (iOS – $2.99; Android – $1.90) is another combo app, incorporating a tuner, tone generator, metronome, and recording capabilities in a very simple and clean design. Like TonalEnergy, it allows you to set the difficulty level from beginner (within 10 cents of the pitch) to advanced (within 2 cents) and has different temperament settings as well. It has adjustable vibrato settings, and utilizes color (but no smiley face…boo) to indicate how well you are able to sustain a pitch in tune. An out of tune note makes the screen red, and the more in tune, and steady your pitch is, the more of the screen turns green. Strangely satisfying. As far as range goes, a tuba player noted that Tunable continues to recognize pitches at the low end of the tuba’s register, past the point where Cleartune conks out. insTuner (iOS only – $3.99) boasts a clean, modern-looking interface, a set of presets optimized for different instruments, and a variety of tuning modes. When using Instant-Tuning mode, for instance, the display flashes green if your note is in tune, and if you’re out of tune, the app uses a red bar and displays text telling you to go up or down. There is also a Fine-Tuning mode (similar to Cleartune’s look) and a Strobe mode. Cleartune ended up as the overall favorite, taking in more than a third of the total votes. But TonalEnergy brought in quite a number of votes as well, with iStroboSoft and Tunable garnering quite a bit of support in a tie for third place. 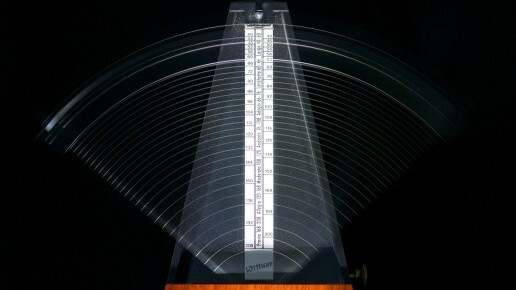 At the end of the day, the “best” tuner app may not be as clearcut as it is with metronome apps, and seems to be a matter of personal preference combined with the specific needs of one’s instrument (e.g. range). Have something to add about one of the finalists? Is there anything we missed, or do you want to make a case for your favorite even if it didn’t make the top five or finish as high as you felt it should? Sound off below! What's the Best Tuner App?